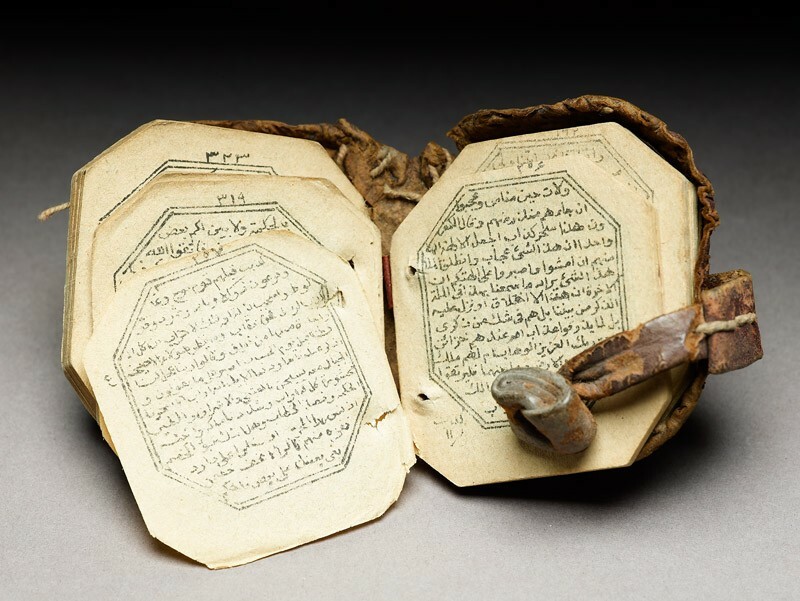 Miniature copies of the Qur’an, both handwritten and printed, were considered to be potent amulets and were thus made to be carried around at all times. 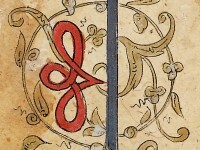 Their production increased once forms of mechanical printing came to be adopted in the Islamic world. Indeed, most of the surviving examples from the last century or so, including the present one, were produced in this way. Presented by Mrs A. Johnson, 1992.